Dr. Jalaj Baxi is one of the most reputed names for onco surgery. He has 25+ years of experience in this field and has been a guide to many of today`s surgeons. 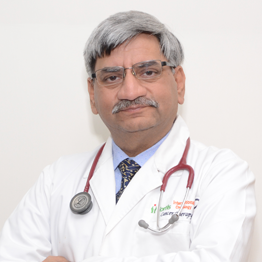 He has 14+ years of extensive teaching experience to undergraduate & postgraduate students has been majorly associated as Professor in Surgery & Head, Manipal College of Medical Sciences in Nepal, Mahatma Gandhi National Institute of Medical Sciences at Jaipur.